In this post, Dr. Vicky Zygouris-Coe discusses theory and offers practical applications for helping older students develop disciplinary literacy. Vassiliki ("Vicky") Zygouris-Coe is an Associate Professor of Education at the University of Central Florida, College of Education. Her research focuses in literacy in the content areas, online learning, and teacher professional development. Dr. Zygouris-Coe has impacted reading instruction in the state of Florida through the Florida Online Reading Professional Development project—Florida’s first online large-scale project for preK-12 educators. Her work has been published in a variety of professional journals. She serves in several editorial roles, including Co-Editor of Literacy Research and Instruction, Associate Editor of both the Florida Educational Leadership and the Florida Association of Teacher Educators Journal. Shanahan and Shanahan (2008, 2012) propose that disciplinary literacy, advanced (and specialized) literacy instruction embedded within content-area classes such as math, science, and social studies, should be a core focus of literacy efforts for middle and high school grades. Disciplinary literacy “involves the use of reading, reasoning, investigating, speaking, and writing required to learn and form complex content knowledge appropriate to a particular discipline” (McConachie & Petrosky, 2010, p. 16). According to this perspective, definitions of literacy in the secondary grades must be anchored in the specifics of individual disciplines. Disciplinary literacy highlights the complexity, literacy demands, and differentiated thinking, skills, and strategies that characterize each discipline. Findings from the Shanahan and Shanahan (2008) study suggest that each discipline (e.g. history, chemistry, mathematics) carries different cognitive and literacy demands. Participants in Shanahan’s and Shanahan’s (2008) study varied in the way the read, in what they considered to be challenges in the text, and in how the texts should be taught. For example, comprehension can be challenging with mathematics when text is extremely dense and students need to understand the flow of information from print to numeracy, to graphs. 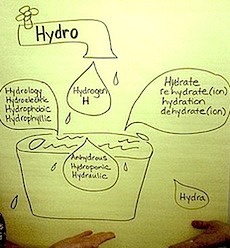 Vocabulary can be challenging in chemistry due to extensive technical vocabulary in the discipline. Whereas in history, vocabulary can be challenging due to the many dated words and metaphorical terms. In terms of discipline-specific strategies, for example, sourcing, contextualizing, identifying arguments and how the author portrays events, etc. are useful to history. 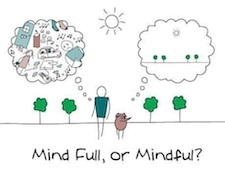 In chemistry, separating essential from non-essential information, visualizing, and thinking of examples are some of the strategies that fit the content demands. Lastly, explaining concepts, writing equations, and illustrating data are some of the strategies that would help students read and comprehend text in mathematics. Some of the challenges we are facing with preparing students to succeed in disciplinary literacy include literacy professionals’ lack of knowledge of each discipline to be able to provide teachers with specific tools to teach students the kinds of knowledge, literacies, language, and inquiry different experts (e.g., mathematics, science, history) use. 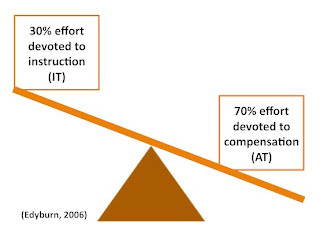 In addition, content area teachers lack knowledge in the literacy demands of their discipline. As a result, we have many adolescents who cannot read and comprehend text in different disciplines—we must prepare teachers to develop students’ discipline-specific knowledge and skills (Lee & Spratley, 2010; Moje, 2008; Shanahan & Shanahan, 2008; Snow & Moje, 2010). As educators, we need to develop our knowledge of the unique structure, goals, practices, texts, and discourse of each discipline and how knowledge is created and shared (Fang, 2004; Fang & Schleppegrell, 2008; Geisler, 1994; Halliday, 1998; Schleppegrell, 2004). Why Aren’t We Talking More About Disciplinary Literacy? We are living in the midst of high accountability and educational reform. The Common Core State Standards (CCSS) have been adopted by most states and will be implemented in 2014. The CCSS call for literacy within each discipline, for critical thinking of complex texts, for complex knowledge development, and for evidence-based reading, writing, and speaking. Disciplinary literacy tasks are situated within the CCSS. So, why aren’t we talking more about disciplinary literacy efforts or initiatives in secondary pre-service teacher preparation and in-service teacher education? Shanahan and Shanahan (2012) discuss the existing mixed perspectives about what literacy in the content areas should look like. In addition, they highlight that disciplinary literacy is not a new term for reading across the content areas. Disciplinary literacy refers to the knowledge, discourse, and habits of mind necessary for learning in each discipline (McConachie & Petrosky, 2010); it is not just about a set of strategies for reading and writing across the disciplines. Also, vocabulary learning is not about using core effective strategies to help students memorize or make connections among concepts; there are unique discipline differences that we should take into consideration in each subject area. Students need to learn the scientific vocabulary of each discipline and specific tools to develop and analyze it—they need to learn (and use) the language of each discipline, its grammar, patterns, and uses. In my opinion, there should be more discussion among educators and researchers about disciplinary literacy, more learning about it in professional learning communities (PLCs), and planning for instruction that would meet both the content and literacy demands of each discipline. We need to get away from using generic strategies that only help students organize text and focus on helping students learn how to think, read, talk, write, communicate, and inquire in ways that are consistent to each discipline. This paradigm shift from generic to discipline-specific literacy would help bring about the development of content, literacy, and thinking skills we have been longing to see in our adolescents’ learning. Of course, this shift would require a different way of teaching and learning in secondary content area classrooms and schools and a different approach to teacher preparation and professional development. We need more dialogue, research, collaborations, and direction on this topic. In the following section, I will focus on one aspect of the disciplinary learning framework, that of accountable talk (McConachie & Petrosky, 2010). Accountable talk will help teachers to “revoice” students’ comments and prompt them to provide additional support for their assertions. It will also help teachers to provide further insight into student knowledge and use higher-level vocabulary while still maintaining contact with student ideas. Students will benefit from teacher modeling, feedback, scaffolded support, and a positive and collaborative learning classroom environment. Can you prove that …? Accountable talk will vary according to content area as a result of each discipline’s structure, goals, ways of thinking and learning, vocabulary, and texts. For more information on discipline-specific examples of accountable talk, please see Figure 1. Figure 1. 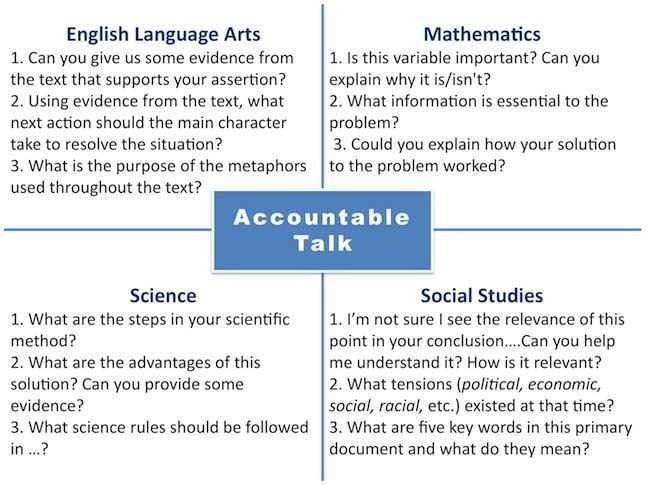 Examples of accountable talk in four disciplines. This figure illustrates sample discipline-specific questions that can promote student engagement, use of specialized vocabulary, and learning in each discipline. Dr. Timothy Shanahan’s blog: Shanahan on literacy. Fang, Z. (2004). Scientific literacy: A functional linguistic perspective. Science Education, 89, 335–347. Halliday, M. A. K. (1998). Things and relations: Regrammaticising experience as technical knowledge. In J. R. Martin & R. Veel (Eds. ), Reading science: Critical and functional perspectives on discourses of science (pp. 185–235). London, UK: Routledge. Michaels, S., O’Connor, M. C., Hall, M. W, & Resnick, L. B. (2002). Accountable talk: Classroom conversation that works. (Version 2.1). [Online resource]. Pittsburgh, PA: University of Pittsburgh. Shanahan, T., & Shanahan, C. (2012).What is disciplinary literacy and why does it matter? Topics in Language Disorders, 32(1), 7–18. Strikes me as a way to get past "attitudes" about literacy in the content areas (in high school especially). Adolescents could be and should be participating in Accountable Talk. Thanks. Good ideas and links! Very interesting. 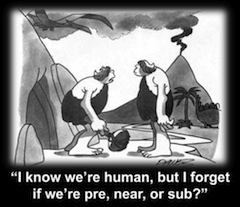 I happened across your blog looking for info on linguistics for my ESL students. I'm pretty removed from the U.S. education scene, so it may not be significant, but the phrase "disciplinary literacy" at first struck me as using reading as punishment! I don't know if there is another way to put it, and perhaps the idea is already embedded in the current language used by educators, but personally, I think it's too bad there's not another way to put it. In the ESL field (I'm teaching in Central America) there is a lot of impetus to move in the direction of English for Specific Purposes. At the institution where I teach "university-level" English (actually more like high school based on the level of sophistication of our students, because of the poor educational system here), there is also a high school that turns out bilingual students (things are getting better!). However, I'm told that they used to teach all of the classes in English but that the Ministry of Education at some point prohibited the teaching of classes like science and math in English. We're hoping that gets reversed in the near future. Yes, I suppose the term "disciplinary literacy" does sound like punishment. The term is used more in professional circles, not as frequently with the students. English for Special Purposes? I like that. Thanks! Comments are published after they are reviewed, to ensure they are not SPAM. Vocabulogic posts are written by Susan Ebbers or a guest author. Feel free to drop a brief comment. Scroll down to the blue footer for a bank of useful websites. My publications? 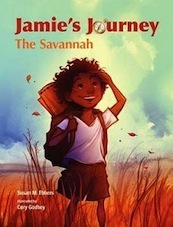 Explore Jamie's Journey: The Savannah. See my teaching materials at Cambium Learning, or listen to a variety of Sopris author podcasts. Differentiate for each player: Answer a question. Then click "change level" (under the panel). Vocabulogic is published by Susan M. Ebbers, 2009. Powered by Blogger.